Laminated window boards from Master Plastics are a high quality product to finish the inside of the window neatly and stylishly. Suitable for window cills and conservatory cills, they are available in a variety of colours and sizes. Description: Internal Conservatory Window Cills - Duraboard. Use in conservatories and the house. Th.. 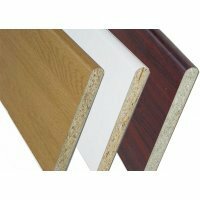 Description: Duraboard Corners Colour: Choose from the options above .. Description: Duraboard Joints Colour: Choose from the options above .. Description: Duraboard End Caps Colour: Choose from the options above ..